Democracy and public participation are commonly associated and sometimes thought to be symbiotic. Public officials often mention participation in their speeches and campaigns to convey a message of trust and openness. However, although citizens elect their leaders to represent and embody their needs and preferences, they also often believe policies and decisions do not fully reflect their interests and demands. Public participation (outside of the ballot box) can help remedy this issue if it bestows citizens with legitimate voice and provides meaningful opportunities to influence and contribute to decisionmaking. Laws, reforms and policies are essential to democracy and freedom, but they are not sufficient. They must be accompanied by practices which involve citizens in meaningful ways. Countries constantly reform institutions, hold elections and decentralize power as an attempt to become more democratic, but the development of democracy is truly enhanced when citizens are given meaningful opportunities to provide input, deliberate, make recommendations and take actions to solve public problems. Apart from the benefits governments could reap from more and better participation, citizens all over the world are demanding more involvement in collective decision making and policy making processes. New knowledge, new practices and perhaps most of all, new information and communication technologies, have transformed direct participation, enabling citizens to become personally involved and actively engaged in many issue arenas and at all levels of government. We know that governments around the world have implemented a plethora of participatory processes and mechanisms to achieve a variety of purposes. But it has been challenging to get information about them and keep up with developments. Not anymore. 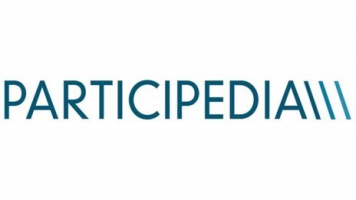 Participedia offers a free, easily searchable online database of public participation in different countries. Today, Participedia has hundreds of entries, and thanks to various filters and labels, one can find cases, methods, and organizations that meet the needs of the searcher, such as location, policy area, goal or level of government. Many times, public participation initiatives might be perceived as obstacles or competition to more traditional forms of politics, but the cases and the information found in Participedia’s database can help address these concerns and offer evidence that public participation enriches conventional forms of governing. Who can benefit from Participedia? The advantages of using this online platform can benefit an array of professions, students, and other groups. Public officers and administrators will find methods, cases and initiatives that have worked under similar scenarios and circumstances. In addition to learning from the data and sources on the site, academics, practitioners, students, democracy reformers, activists and others can contribute cases and information to Participedia and participate in its growing global network. Participedia also has the potential to become a powerful search engine to conduct social science research. Public administration scholars can use it as a teaching tool to impart lectures or to encourage students to work on their analytical skills and to design new projects based on the lessons learned from the cases. The database counts with a myriad of cases that unveil the dynamics and design of public participation initiatives, although cannot be generalized and vary by country, time and results. Thanks to this platform, users apply federal filters and labels to narrow the search down to cases with specific regions, circumstances, or skills, which can facilitate the comparison and speculation under similar scenarios. Anyone can create an account, which opens the door to learning about public participation around the world. A first of its kind, it also strives to polish and nourish knowledge about the initiatives and strategies implemented throughout the world and how they have impacted the development of democracy in their respective surroundings. The magnitude of its potential is not measured by the variety and range of users that can profit from this website, but the impact produced by the tools derived from it. In the end, Participedia is a platform, and platforms, just like participation, always lead to higher places. This space will periodically present successful cases around the world and lessons extracted from the information and benefits of using Participedia as a tool to explore public participation. To obtain more information visit www.participedia.net.